A broadcasting legend and one of the most recognisable faces on British television, Alan Whicker worked his own brand of quietly incisive journalism for over 50 years. 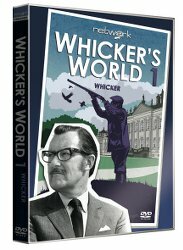 Courtesy of distributor Network, the entire 15 series of Whicker’s World made for ITV will be released on DVD in transmission order, including one-off specials. The ongoing series of releases will all be featured in their original, full screen aspect ratios with brand new transfers of original film elements. 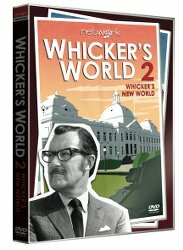 Whicker’s World 1 – Whicker (E) and Whicker’s World 2: Whicker’s New World (E) are both released on DVD on 23 May 2016, each RRP £19.99, courtesy of Network. Subjects of his scrutiny in this volume – first broadcast in the late 1960s – include airports, the world of horse racing, hereditary peers, Le Touquet, Christmas in Equador, British ex-pats in Buenos Aires, the man who invented “cat’s eyes” and more. Subjects of his scrutiny in this volume – first broadcast in 1969 – include cryogenics, media stardom, swinging singles, wage slavery, old age and more – as well as an unforgettable encounter with Haitian dictator Papa Doc Duvalier. A consummate interviewer with a famously affable, urbane style, his popular, award-winning documentaries continue to be a significant influence to this day. To celebrate the release we have 3 bundles featuring both volumes of Whicker’s World to give away to our readers. All you need to do to be in with a chance of winning is to answer one simple question. The competition closes at 23.59 (GMT) on Monday 6th June 2016.